Several questions about the atlas have recently appeared in my in-box, or on the CTBirds list. Since the same questions are starting to repeat, I plan to use the blog to give some answers over the next few days, so that the information is available for everyone. We are also working on an FAQ page for the web site. Most likely breeders are listed on the safe dates list and on the field card. Many species that you might see over the next month or two are missing from these lists because they are not known to nest in Connecticut. Often, however, these migratory species might be heard singing as though they are on territory. Most of these birds should probably be ignored, as they are simply passing though en route to breeding sites farther north. Palm warblers, which are just starting to arrive in Connecticut, and blackpoll warblers later in the spring are good examples. But, if you find evidence of such oddities lingering into mid-June, or see evidence that strongly indicates actual nesting, please report that information using the rare reports form. If you find a species that shows clear signs of breeding but is not on the field card, please document the record careful and submit that information using the rare reports form posted on the web site. Note too that some rare breeders probably should not be reported publicly. In my next post I’ll cover that topic and describe ways to submit atlas data for sensitive species. 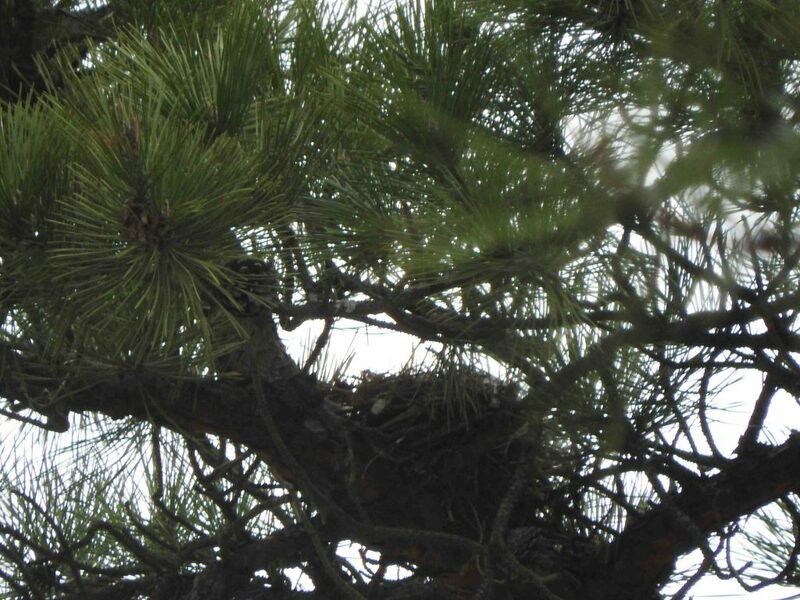 Red crossbill nest (not in Connecticut). Previous PostPrevious What are safe dates? Why do they matter?